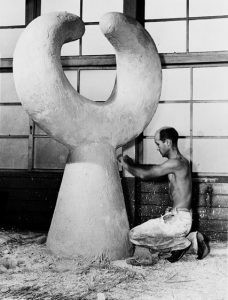 Noguchi working on plaster version of ‘Mu,’ 1950. At age twenty-two, in applying for a Guggenheim grant, Noguchi stated that his desire was to view nature through nature and to ignore man as an object of special veneration. “…indeed,” he wrote, “a fine balance of spirit and matter can concur when the artist has so thoroughly submerged himself in the study of the unity of nature as to truly become once more a part of nature ― a part very much of the earth, thus to view the inner surfaces and the life elements.” It was Noguchi’s stay in Paris, and his six month stint in 1927 as Brancusi’s assistant, while still in his twenties, that set him on his lifetime project: to tap the sources of time and history through retrieval of the archaic innocence, and at the same time to be of his time, a modern in the great modern tradition of abstraction. 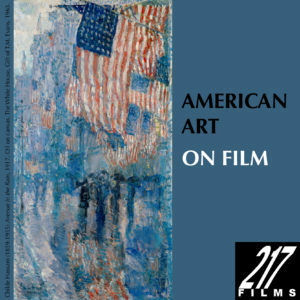 To this end, as art critic Dore Ashton, Noguchi’s long-time friend extensively details in her book, Noguchi, East And West, the artist spent his life studying ancient ruins and monuments, myths, Buddhist poetry, Kabuki and Noh theatre, Zen gardens, religious rituals, and world literature, in particular the works of visionary William Blake, not only to see what light they shed on the present but to plumb the essence of what it meant to be both human and alive. Left: His ‘Music Garden,’ located the Noguchi Museum, Queens, New York. 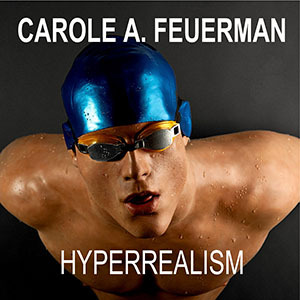 It seems that there was no medium or material that the artist did not try his hand at ― a versatility so diverse that it often turned critics against him. 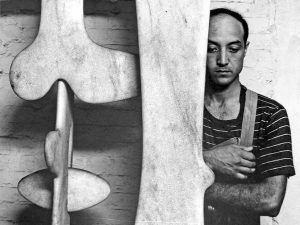 While Noguchi’s earlier work appears to quote Picasso, Brancusi, Arp, and Calder, his later works, especially his sculptures in stone, are an original blending of Eastern and Western thought. From Japan we get simplicity ― a poetic, contemplative, almost worshipful air. From the West, as Noguchi liked to point out “I place my mark and I do not hide” we get the assertive modernist touch. Emblematic of his diversity, while working under the title of Isamu Noguchi and Iconic Designers, is the artist’s ubiquitous glass-topped coffee table (right) and his world-famous Akari light sculptures. Though purity, balance, and beauty, the touchstones that Noguchi embraced, is the outward face of this exhibition, it is the inner essence of each work, so simply and beautifully brought forward and alive, that captures our attention, engages our imagination. At other times, like his sophisticated Red Seed (1928), one his earliest works, it is just ‘how did he do it’ that holds our eye. Here Noguchi, having digested the Constructivist approach to sculpture, is already beginning to simplify. 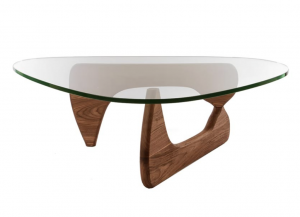 Using teak wood, a hanging wire, and a marble base, he brings three stunningly disparate elements together as a seemingly organic whole. While his interlocking modernist theatrical and dance sets are of historical value—more than twenty were Martha Graham set designs—it is the artist’s torsos, heads, benches, garden seats, and in particular his stone works, subjects that Noguchi rendered in countless versions over the years, that shed the greatest light. 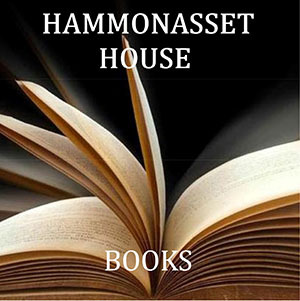 It is in these more personal works that we truly see his hand, feel his touch and sense the workings of his mind. 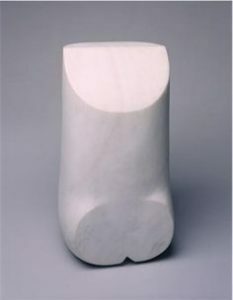 In Small Torso (1958), left, a small, elegant marble sculpture, Noguchi is seen quoting his early mentor Brancusi. 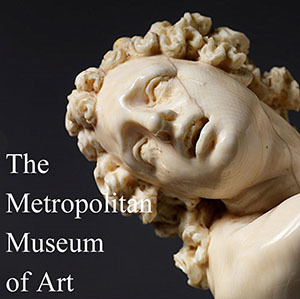 In Torso (1982), a granite fragment, we experience his deep knowledge and love of Greek sculpture. 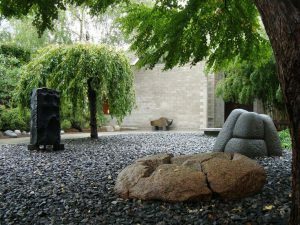 In Garden Seat (1983) Noguchi is seen experimenting with the Zen concept of rough and smooth. Using sharp cuts to hollow out the basalt seat he reveals the innate craggy properties of the stone. By placing the seat atop a highly polished granite base, he is bringing, as he liked to describe his more practical works “art into life. During the late 20’s and 30’s, when his work was not selling, he tried his hand – quite successfully at that – at portrait sculpture. 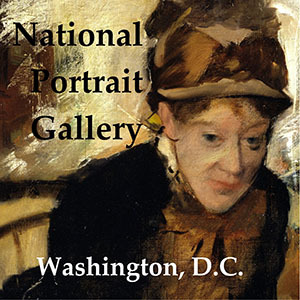 He created 120 portrait heads during his lifetime—from the famous to the long forgotten. 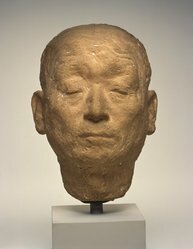 Tsuneko San (Head of a Japanese Girl – 1931), an apparent evocation of the Noh theatre from which he drew inspiration, in its serenity resembles a death mask. Uncle Takagi, sculpted in the same year (right), is a lot more realistic. 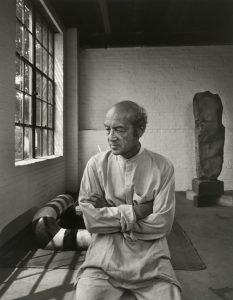 Here, Noguchi, depicting his subject with eyes closed and his brow deeply furrowed, captures his uncle’s intense concentration during meditation. In two astonishing subtle sculptures executed in 1970, Childhood, a simple polished stone with an otherworldly glow, and Young Mountain, a similar stone, imperceptibly sliced and joined back together again, Noguchi, is at his most simple and most complex. Here he achieves what he has spent his lifetime dreaming about—a perfect balance of spirit and matter.